A new client can generate income for many decades for a doctor or lawyer. In contrast, a student pays tuition to a college, university or private school for a relatively brief amount of time. Every year, educational organizations must generate enough leads to fill the seats left by departing graduates. It’s a constant struggle. When prospective students search the Internet for the services you provide, will they find your organization? If so, will your website motivate them to call or email you? If your online presence isn’t tuned for performance, you may be missing important lead generation opportunities. 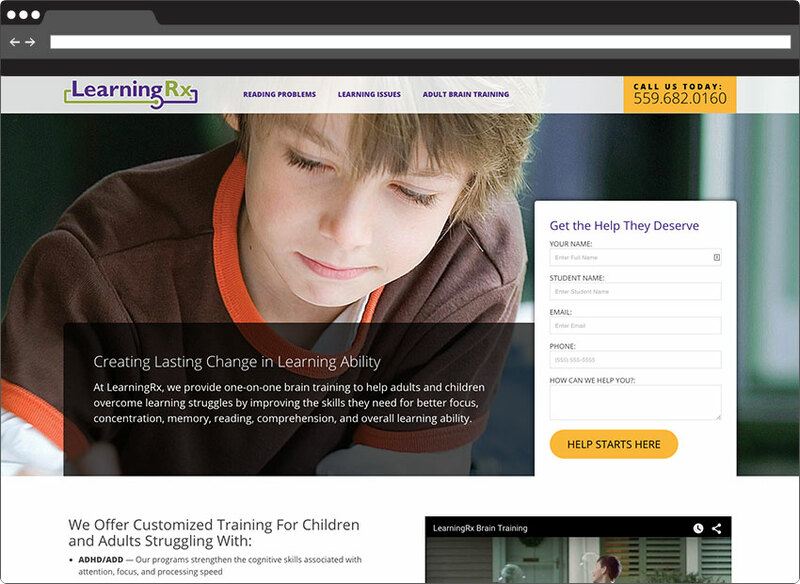 We take an intelligent approach to online marketing for educational organizations. Everything we do is focused on producing results efficiently and cost effectively. Web design: We design websites that work and look great, too. Pay-Per-Click (PPC) marketing: With years of industry-specific experience, we know how to achieve impressive PPC results for educators. Campaign landing pages: Will a user hit the back button or contact you after clicking on your PPC ad? The right landing page makes all the difference. Landing page testing: We use A/B or multivariate testing (MVT) to identify the highest-performing versions of your landing page, giving you the best chance to turn visitors into qualified leads. Search Engine Optimization (SEO): Keywords, site architecture, local search, custom content and link building are website elements that can help or hinder your site’s performance. We make sure they are done correctly and support your goals. Google Analytics: We select the right data to track, set up a tracking and reporting program, and interpret the data. You will understand not only your traffic and contact volume, but also your cost per conversion, overall conversion rate, cost per lead, lifetime value per conversion and ROI. Effective internet marketing can play an important role in helping colleges, universities, schools and others keep enrollment numbers up. Let the online marketing experts at ThinkSEM describe how we can generate quality leads for your organization. To learn more, please call 651.200.3831 or contact us by email. From offices in the Minneapolis-St. Paul area, ThinkSEM provides online marketing expertise to colleges, universities, schools and other educational organizations in Minnesota and throughout the nation.